Over the weekend Teddy and I went to the Martha's Vineyard Agricultural Society Fair. 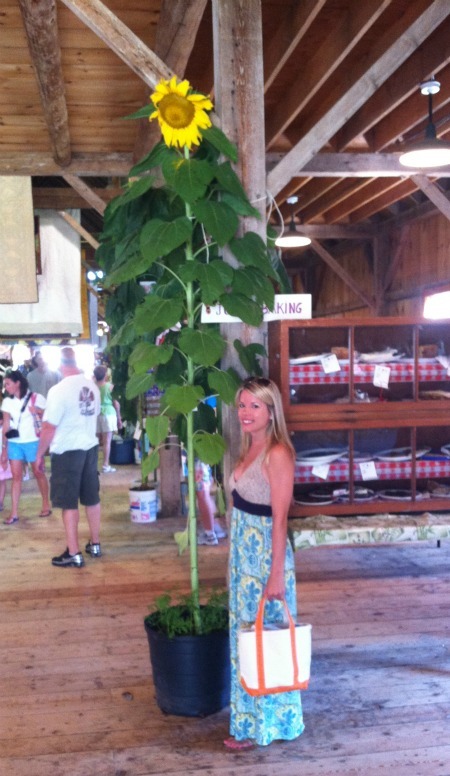 I loved this giant sunflower! Last week I was surprised when a package from J. Crew was waiting on my doorstep after work. I didn't order anything... was I sleep shopping? That wouldn't surprise me because I had been dreaming about this necklace that my friend Kate was wearing during my trip recent trip to Boston. She sent one my way! Love her sweet thought and my new little elephant. I love free things. Personalized is even better! When I got an email offer to order a set of free thank you cards from Shutterfly and just pay shipping I took them up on it and ordered the Modern Tile Navy. Select cards are on sale. 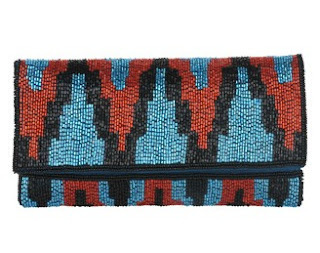 Plan to dress up jeans and a black top with this beaded geo print clutch from Forever 21. I love the print! 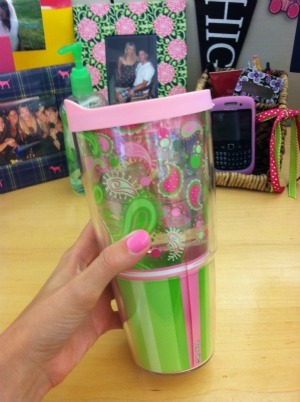 Finally... loving my paisley Tervis Tumbler that I picked up at Bed Bath and Beyond to keep at my desk (happened to match Essie's Lovie Dovie on my nails last week.) I accidentally left it around the office and it was immediately returned to me. Love that it's so identifiable, haha. Good excuse to use one of the BBB coupons that are always lying around... just saying! That necklace is perfect! I'm in love with it. What a great friend!! Wow I love that stationery! What a nice friend you have too! What a great Shutterfly deal! 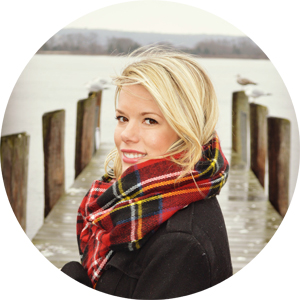 I've been on the hunt for some new personalized cards recently, and I love the style you chose. I wish my sunflowers were that tall!! 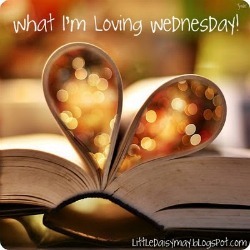 I love that necklace, and the thought from a friend is way sweet. That's when you know you have true friends! I love Shutterfly! They send me so much free stuff, I love it! I just ordered a photo book they are sending to me just for shipping. Awesome deal if you ask me! And that sunflower is AWESOME! I love the Ag Fair!! ..and your dress, you look awesome! 2. How cute is that flower?! I've never seen one that big! 3. 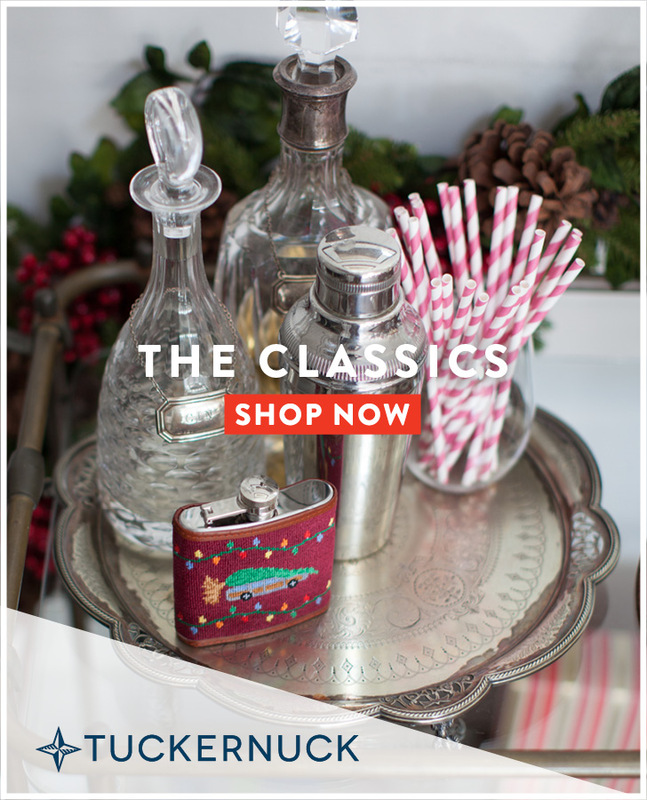 OBSESSED with Shutterfly!! I didn't get the free thank you note memo...hmph. Love the stationary, very cute! And that sunflower is crazy! 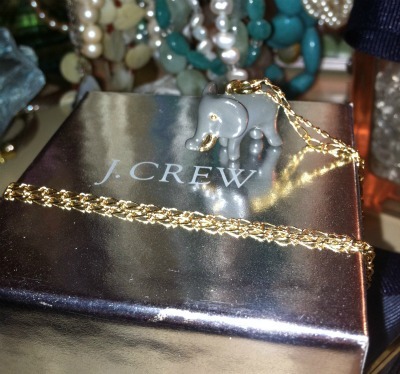 I also have that elephant J.Crew necklace, very thoughtful of your friend to send one your way! I got the same cards from shutterfly!! What a good list! That sunflower is huge!! 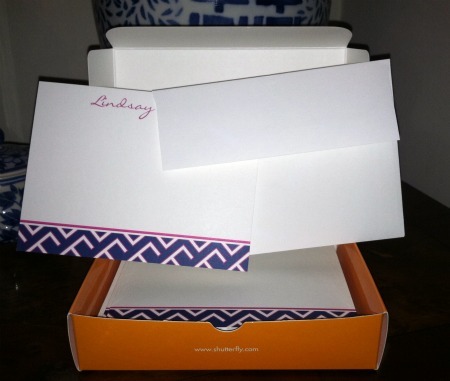 I love your new stationery, and I have that Lilly frame in the background of your tumbler pic! I was so excited when I got that J. Crew elephant for my birthday last year! Elephants are my favorite! I also have the smaller version of your tumbler. Love them!